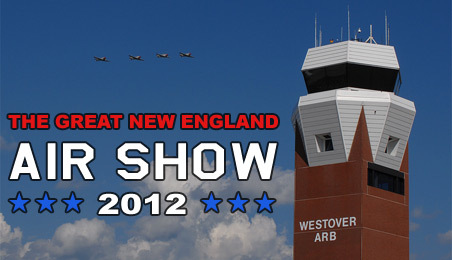 During the hot and humid weekend of August 4-5, 2012, the Westover Air Reserve Base hosted The Great New England Air Show. Dave O'Brien offers his photo report of the show, with most photos of the arrival and practise days which saw better weather. Westover ARB had its last air show back in 2008 so it was nice to see the air show return to Chicopee MA, home of the 439 th Air Wing. Even without a jet demo team like the Blue Angels or Thunderbirds people were looking forward to this show. They had a decent mixture of Military and Civilian acts. For civilian acts they had fan favorite Michael Goulian & Rob Holland. They also had civilian formation displays with the Skytypers and the Iron Eagle twin biplane team. Warbirds had flown in and some did fly-bys for the show. For Military demos they had a fly-by from neighboring 104th FW flying their F-15C Eagles and the USMC MV-22 Osprey Demo which was a new display for me to see. The parachute jump team was the USASOC Black Daggers. The B-2A stealth bomber did a fly-past. The home unit flew their C-5 Galaxy for a short demonstration and to close the show out the VFA-106 Gladiators from NAS Oceana flew their F/A-18F Super Hornet. The only problem was the weather didn't really help out, it was extreme hot and humid Friday through Sunday. Saturday fog and clouds kept things grounded till 11 AM and the heat index was already 95 degrees F. Once the sun came out the haze still hung around and it was very difficult to shoot good pictures. Even the crowds had a hard time dealing with the heat and by 1 PM the ramp was very thin with visitors. Sunday didn't fare any better as the ramp had to be cleared in the afternoon because of severe thunderstorms that had moved into the area and the Super Hornet never even got to fly. It stinks when there's that much of a gap between shows, 4 years, and then the weather plays such a factor in putting a damper on it. I would like to thank the 439th AW PAO for allowing me access on Thursday when the statics arrived, Friday all day, and to return Saturday to capture this event. I really hope the weather cooperates the next time Westover has their air show.